University of Texas at Austin researcher R. Malcolm Brown, Jr., PhD, explores using genetically engineered cyanobacteria to produce nanocellulose. 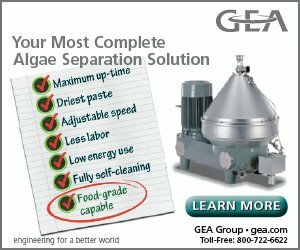 enes from the family of bacteria that produce vinegar and Kombucha tea are being engineered by University of Texas at Austin scientists into blue-green algae to produce the “wonder material” nanocellulose. Their report on advances in getting those genes to produce fully functional nanocellulose was presented by research leader R. Malcolm Brown Jr., PhD, at the 245th National Meeting & Exposition of the American Chemical Society (ACS). Nanocellulose-based materials can be stronger than steel and stiffer than Kevlar. Its great strength, light weight and other advantages have generated interest in using it in everything from lightweight armor and ballistic glass to wound dressings and scaffolds for growing replacement organs for transplantation. In the 1800s, French scientist Louis Pasteur first discovered that vinegar-making bacteria create “a sort of moist skin, swollen, gelatinous and slippery” – a “skin” now known as bacterial nanocellulose. Since the early 1980s nanocellulose has also been produced by delaminating cellulosic fibers in high-pressure homogenizers, though nanocellulose made by bacteria has advantages, including ease of production and high purity. 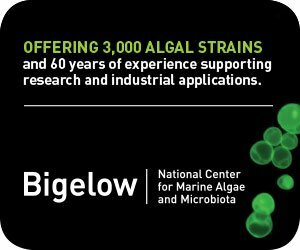 In 2001 a research team at the University of Texas at Austin, led by Dr. David Nobles, began focusing their research on creating nanocellulose using cyanobacteria, or blue-green algae, which are photosynthetic bacteria much like the vinegar-making bacteria in basic structure. The researchers saw that cyanobacteria had advantages over other bacteria, for example they make their own nutrients from sunlight and water, and remove carbon dioxide from the atmosphere while doing so. Cyanobacteria also had the potential to release nanocellulose directly into their surroundings, making it easier to harvest. 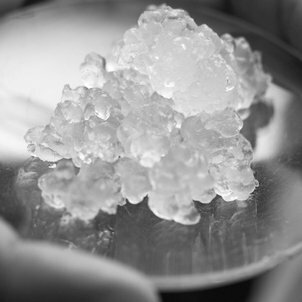 Nanocellulose, also called microfibrillated cellulose (MFC) or nanofibrillated cellulose (NFC), has the appearance of a highly viscous, shear-thinning transparent gel. Since the 1970s Dr. Brown and his colleagues had been focusing their nanocellulose research on Acetobacter xylinum (A. xylinum), a bacterium that secretes it directly into the culture medium. 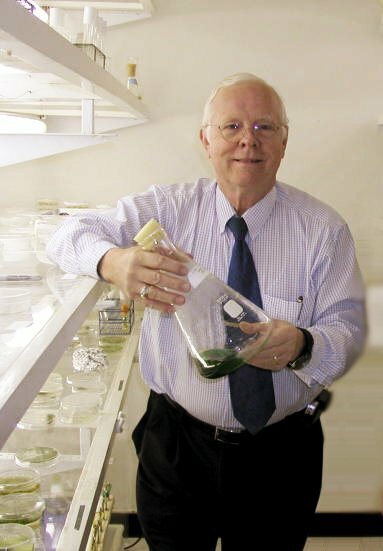 In the 1980s and 1990s, Dr. Brown’s team sequenced the first nanocellulose genes from A. xylinum. They also pinpointed the genes involved in polymerizing nanocellulose (linking its molecules together into long chains) and in crystallizing (giving nanocellulose the final touches needed for it to remain stable and functional). But Dr. Brown also recognized serious drawbacks in using A. xylinum, or other bacteria, to make commercial-scale amounts of nanocellulose. 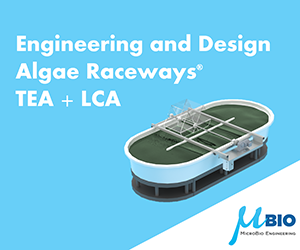 Those drawbacks shifted the team’s focus toward engineering the A. xylinum nanocellulose genes into Nobles’ blue-green algae. In his report at the ACS meeting, Dr. Brown described how his team has genetically engineered the cyanobacteria to produce one form of nanocellulose, the long-chain, or polymer, version of the material. He said they are moving ahead with the next step, engineering the cyanobacteria to synthesize a more complete form of nanocellulose – a polymer with a crystalline architecture.